Perhaps the most essential element of rock ‘n’ roll: The Guitar Riff. Jim, Greg and some listeners break it down and name their favorites. Then they review a new double album from another guitar legend, Prince. Thom Yorke can't stop reinventing the music business. A few years ago, his band Radiohead made big news by offering a pay-what-you-want model for its album In Rainbows. Now Yorke has released his new album, Tommorow's Modern Boxes, via BitTorrent. He says that in an effort to remove any of the“gatekeepers,”he wanted to see how this album would go over on the controversial file sharing system. For the most part, BitTorrent has previously been used to share illegal music, movies and other files. But, with 400,000 paid downloads of Yorke's release, things may change. Also in the news this week, Urban Outfitters boasted that they are the world's largest retail outlet of vinyl albums. Billboard thought this seemed fishy and looked into the claim. Turns out mega-giant Amazon is the champion, but UO takes the brick and mortal prize. More than fifteen years after a dramatic falling out with Warner Bros. Records, Prince and the WB are once again reunited. To celebrate the occasion, The Purple One has released not one, but two full-length studio albums. Jim thinks the first record, Art Official Age, is a bloated, science fiction-tinged concept album that borrows too liberally from artists like Led Zeppelin, Janelle Monae, and even Crosby, Stills and Nash. Fans of Prince will probably love it, but Jim's finds it to be mostly filler from a once brilliant artist: Trash It. Greg disagrees, as he thinks this is some of Prince's best material in 20 years. 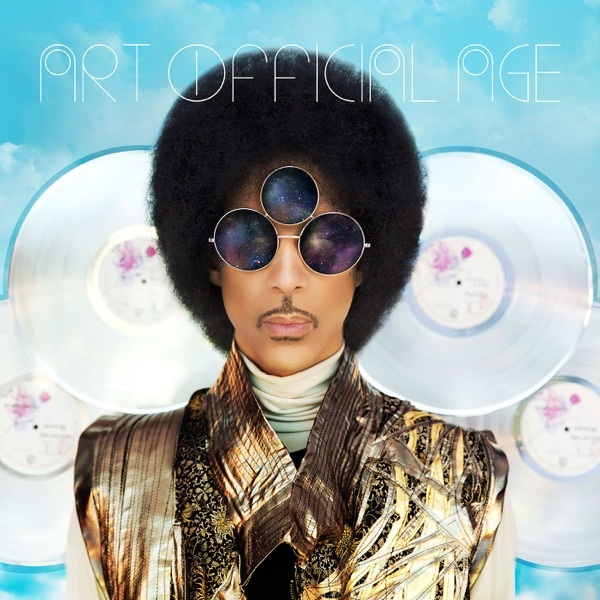 On Art Official Age, Prince creates a rich, layered world of sound where he's free to embody a variety of eccentric and electric musical personalities. And despite Prince being 56-years old, the album's energy stands up next to contemporary R&B auteurs like Frank Ocean and The Weeknd. Greg says Buy It. The second Prince album, out the same day as Art Official Age, is Plectrumelectrum, a collaboration between Prince and female funk band 3rdeyegirl. Of Prince's two albums, Jim prefers this one, which features a hard-hitting sound from the band and some fine psychedelic guitar playing from Prince. Although he admits no one's doing any real heavy lifting in terms of innovation, the record is still fun and worth a Try It. Greg concurs. Unlike Art Official Age, Greg feels like Prince is coasting a bit on this record by having picked a backing band that doesn‘t challenge him in any real way. Mediocre songwriting means the songs range from simply OK to good, but nothing’s so bad as not to recommend you Try It.